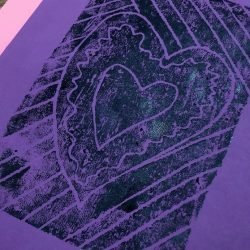 We have all seen the melted crayon projects from Pinterest. In fact, I saw so many last year during our genius hour presentations that I wanted scream. Melting crayons is fun, but there is SO much more you can do with the art of melting wax, also known as encaustic. I know it might sound dangerous or difficult, but I promise these three projects make it easy to introduce this medium in any classroom. Note: Wax can give off harmful fumes, so be sure you are working in a well-ventilated area. In addition, these projects require heating elements. You will have to decide if they are suitable for your student population. This simple project allows students to experience the magic of watching the colors melt and mix. Warm the griddle –low or medium heat generally works well. Lay the paper onto the warm griddle. Draw slowly with unwrapped crayons onto the warm paper. As you draw, the crayons will melt to create a wax image. 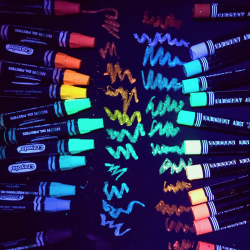 You can also “draw” by feeding the unwrapped crayons into a low temp glue gun. If you’d like more information, Allison from the site Learn~Play~Imagine wrote about it here. 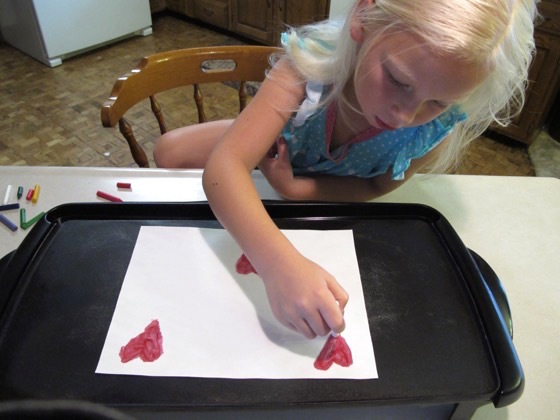 Put a larger paper under your drawing or mark out a border on your paper to prevent melted crayons from making it onto the griddle. Keep the wax thin and be careful with your finished drawings as thick areas of wax can crack and fall off. 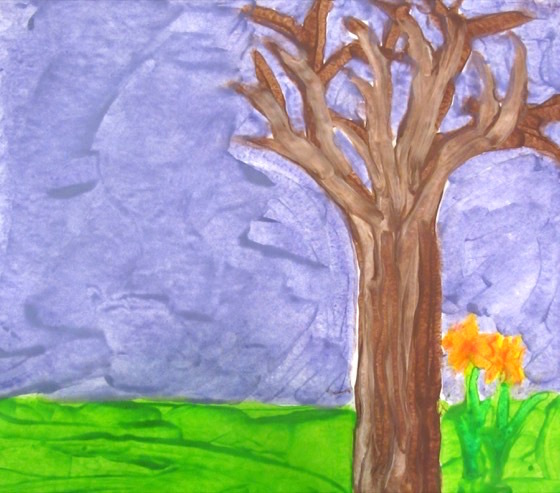 This project allows students to experience the magic of layering materials and wax to create beautiful images. Wrap the boards with packing tape to build up the sides (imagine making a fence). Pouring several thin layers of wax will help reduce how much things move. You can carve away areas of wax for emphasis. These ghost-like images can be drawn into for added interest. This project is the most challenging in that it uses a true encaustic medium which is created using wax, resin and pigment. However, once the work of creating the “paints” are made, you will be creating for a very long time. Warm your pre-made waxes on the griddle. Old tuna cans with clothespin handles work great for this. Using the melted wax as paint, paint onto the rigid surface. Move or change wax by heating it with a blow dryer once it is on the painting surface. Keep your colors pure by having students use one brush per color. Colors can be reheated and used until they are gone. You can press different things into the warm wax to create texture. 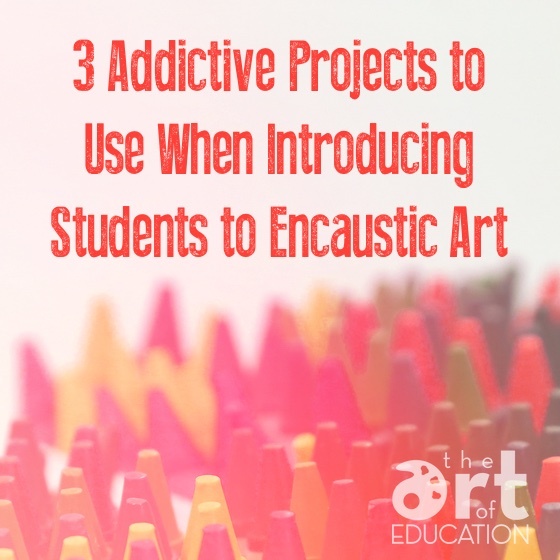 I hope these three projects get you thinking about how you might incorporate encaustic art into your classroom. I still remember my first experience with encaustic art. I was seven and we melted crayon shavings between wax paper to create a beautiful sun catcher that I was so very proud of. If you are looking for a modern encaustic artist, check out the beautiful work of Margaret Berry. 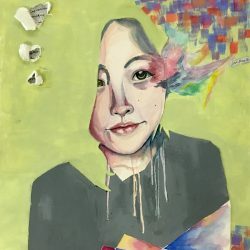 I was able to work with her a few years ago when her work was on display at our local art center. You can watch a video of her working here. 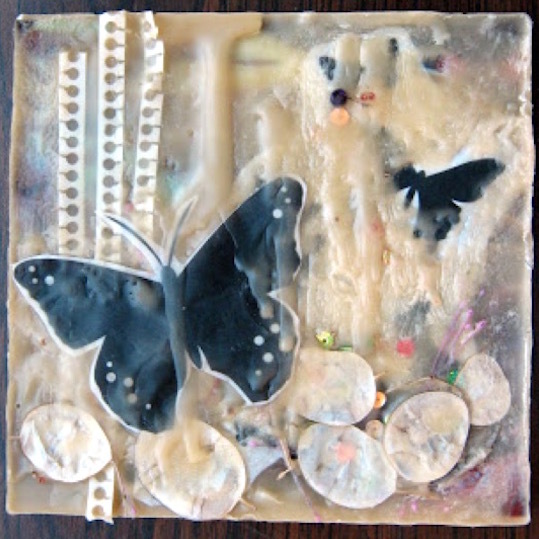 Encaustic is one of those wonderful mediums that can be very simple or quite complex. Be warned that as you start investigating this medium, you might just find yourself addicted. 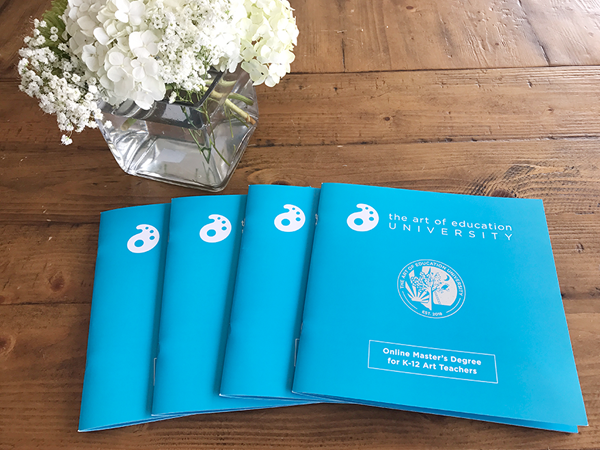 Have you ever taught encaustic art? What new medium would you like to introduce your students to this next school year? 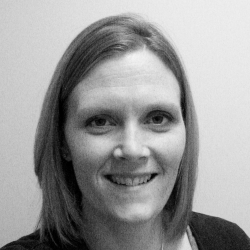 Jen is a middle school art teacher from Norfolk, NE who loves exploring and teaching art through traditional and digital art mediums. i like to take an old muffin tin and sit on top of warm griddle. we then put different colored crayons in each section. i usually add a bit if paraffin to make the wax a bit smoother. the kids could paint directly on a board or sometimes we used fabric and then dipped in India ink for a Batik. you could keep the colored wax on the fabric or iron it off. God Bless anyone who gives this a try in a school setting with 20+ students. I would never attempt this! Especially not with the age of the child in the photo. I think it would be best with older kids and in a home or very small group setting. I am doing batik with freshmen in a private studio class and hot wax, not to mention hot plates is not something for the careless or distracted. (like little kids). I think these all look like so much fun! Thanks for sharing! others working on a different project, until it’s their day to work with the encaustic project. I found it difficult to paint with brushes, because the wax dries too fast, so we used Q-tips to lay down the wax, thus didn’t have to ruin brushes. What worked the best was to have students paint objects, such as paper soup bowls, which we made into mini hats, later embellishing them with buttons, feathers, bows, etc. I like the collage-pouring idea, which I’ll have to try this year. I’m very surprised that this article doesn’t stress the importance of ventilation more. When heated, true encaustic wax needs an extremely well-ventilated workspace.